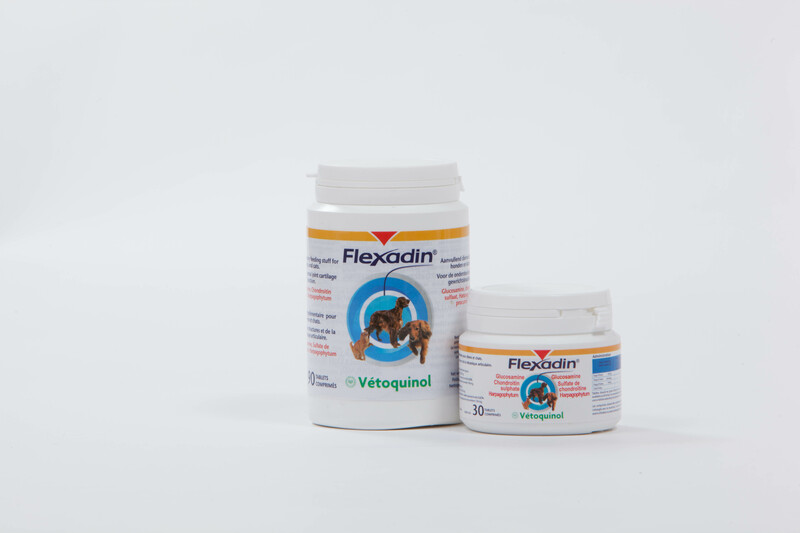 Flexadin Tablets are a nutritional supplement that supports joint health and function in dogs and cats, combining the benefits of glucosamine, chondroitin and devil's claw (Harpagophytum procumbens). This is a complementary feed product. It is available in 30 and 120 tablets. Flexadin tablets may be given directly to the dog or cat or in its food. Dose can be adapted to the animal's needs as recommended by a veterinarian. Flexadin Plus contains glucosamine and chondroitin, plus a unique combination of essential components for the maintenance of healthy and flexible joints in dogs and cats. Flexadin Advanced is a unique supplement containing UCII. It is for the metabolism of joints in the case of osteoarthritis (OA) in dogs.